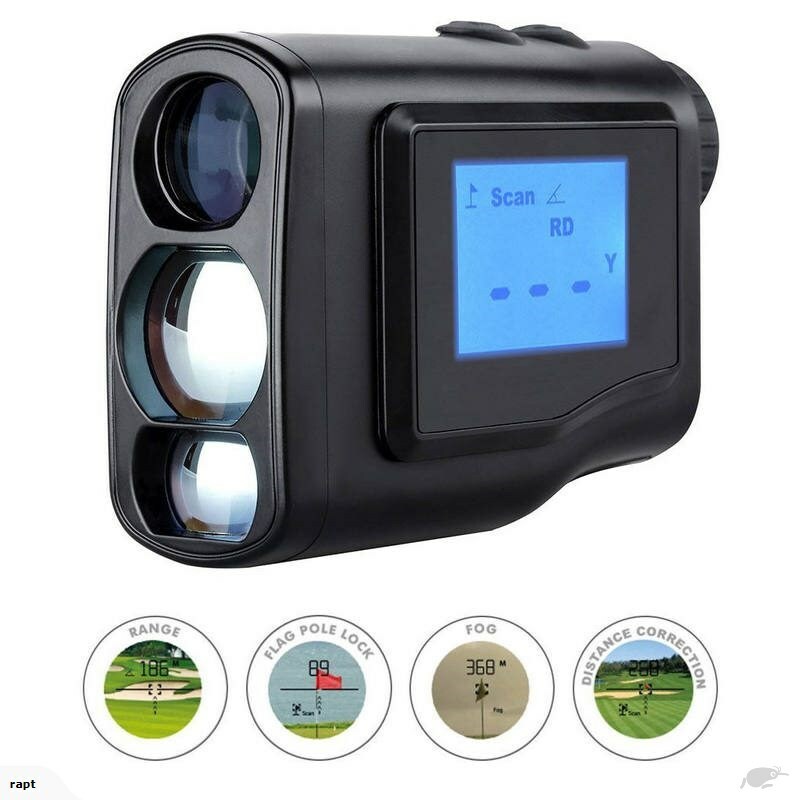 Laser Range finder with built in pin seeking technology and angle correction. From the same manufacture as our popular X1000 model. 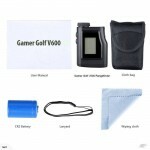 This is my Brand New Model with LCD Display. Unit shows measurement in eye piece as well as backlighted lcd display. Great reminder of the distance without having to shoot the flag again. TOURNAMENT LEGAL IMPROVED DESIGN - Our Rangefinder features an on/off toggle for our slope feature which conforms to USGA Rule 14-3. Now you can practice with Slope and play your scoring rounds with it off! 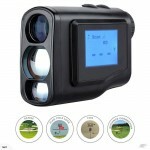 No need to carry 2 Rangefinders. Slope Technology provides the golfer with compensated distance based on hole's incline or decline, so never fall short again. A 137m uphill shot of 6° really plays at 151m. Without slope compensation, you would come up 14m short. Special Note - Slope Mode can be turned off into regular distance mode. 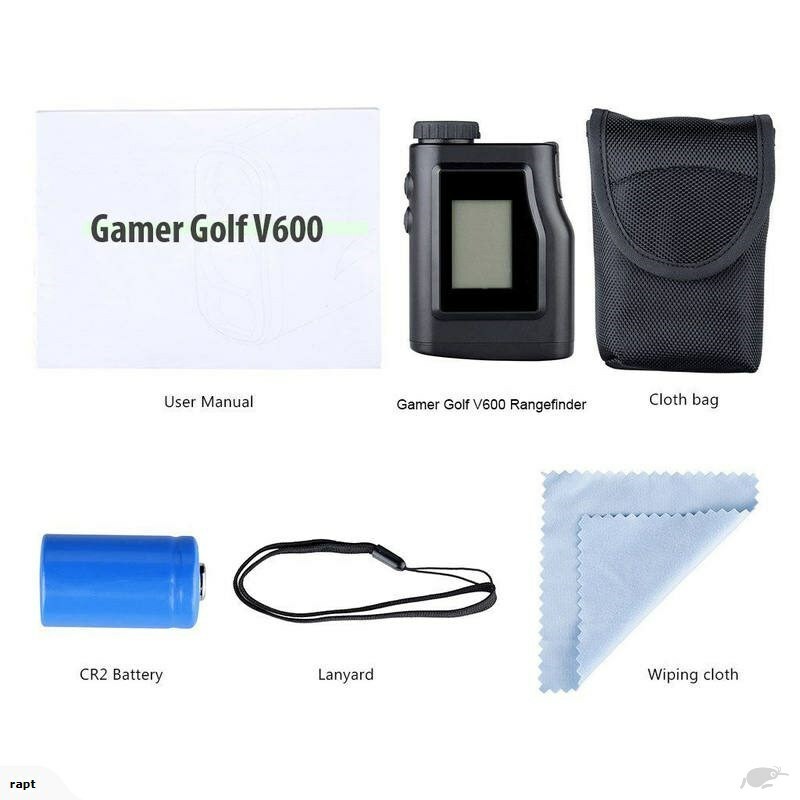 • Water and dust resistant so can be used in the rain. ** 30 day Return policy - Must be in new condition with all original un-damaged packaging so it can be re-sold as a new unit ie no scratches or marks.